My career background has been in the restaurant and retail industry. I started with Staples, in Calgary, as a Service Manager, and was promoted to a General Manager in 2003. My family moved to Ottawa, later on, and we lived there for over 9 years. My husband grew up in Fort Saskatchewan. So when the opportunity came for me to run the Staples here, it was a home coming for the family. I’ve been a member of the Chamber of Commerce since 2014. I am excited to be part of the board. I’m looking forward to the collaboration of industries, and business, to help our community flourish. I moved to Fort Saskatchewan in the summer of 2014 when my husband and I decided to relocate both our home and business here. Previously, our head office was on Vancouver Island but all of our clients and work were in remote or international locations so we decided to make the move to somewhere that we could continue to build our business, as well as a life. I joined the Chamber of Commerce Board of Directors in March 2015 and have been actively involved ever since. I love how welcoming this community is and how everyone steps up to make it a great place to live and work. Our business, PSI Industrial – Mechanical is an industrial mechanical contractor providing mechanical construction,installation, maintenance, technical trouble shooting and custom welding fabrication & piping services to our clients in the oil & gas, mining, pulp & paper, sawmill, oil & gas, transportation and industrial and commercial construction sectors. Our shop is the big green building on 100 Ave across from the industrial area. My work history has included roles in the post-secondary, private and non-profit sectors and I have always been an active volunteer wherever I’ve lived. As a board member, I am excited about the strong leadership role that business can play in contributing to the cohesive growth and development of all aspects of our community. 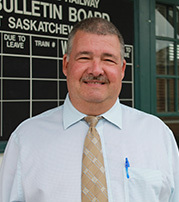 I am married, and father of 2, who has proudly called Fort Saskatchewan home since 1975. After obtaining my science degree from Concordia University I took the less than obvious root of starting an insurance career. I started working in Edmonton on the corporate side of the business, but after a few years of that realized that Fort Saskatchewan was the place to be. 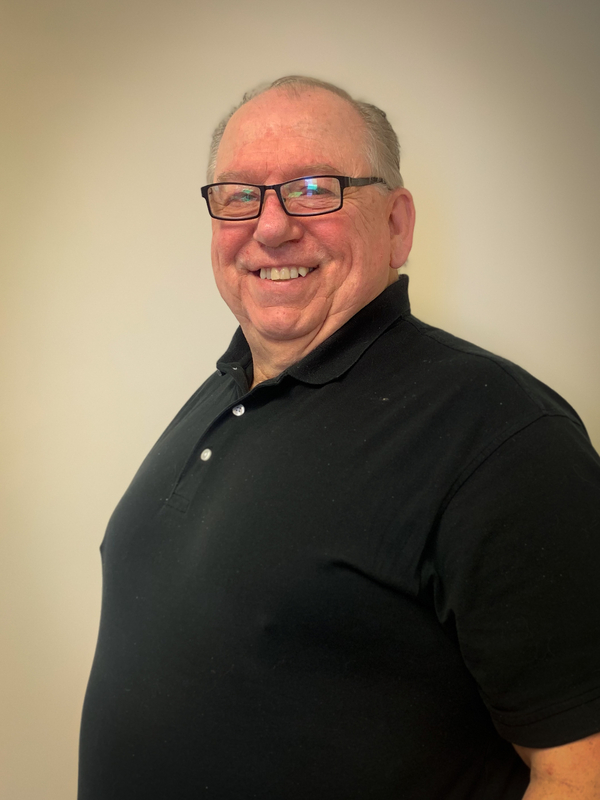 Smith Insurance has been part of Fort Saskatchewan since 1958, and my father got involved in 1986 so it made me very proud to join the family business in 1994. Smith Insurance is a general insurance brokerage offering Commercial, Farm, Home and Auto insurance. We have 17 staff, and two locations. Our second office is in Lamont.Because of the long history Smith Insurance has had in this community we have seen Fort Saskatchewan grow from a mainly agricultural community to the Industrial Heartland it is now. I am proud to serve on the Chamber of Commerce to give back to the business community that has supported us all those years, and to do my small part in continuing to see our community grow and prosper. 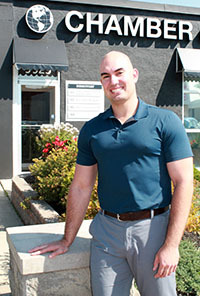 Dr. Hobson was born and raised in Fort Saskatchewan, Alberta. He went to the University of Alberta with interest in General Sciences and transferred after his second year to the University of Waterloo, where he received an Honors Undergraduate degree in Science. Dr. Hobson also received a doctorate degree from the University of Waterloo’s School of Optometry. In May 2015 Dr. Hobson created Fort Saskatchewan Eyecare located at the Ross Creek Professional Building. 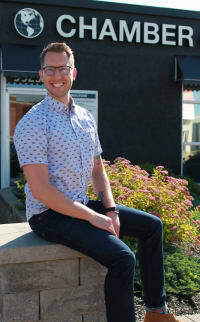 In his extra time, Dr. Hobson enjoys volunteering with the Fort Saskatchewan Rotary Club, playing volleyball and spending time with his wife Jen and two dogs. He looks forward to his term with the Chamber of Commerce and welcomes new challenges and opportunities! I was born and raised in Edmonton and have recently have made the move to work and join the Fort Saskatchewan community. I began my education at the University of Alberta, completing a Bachelor of Physical Education before moving on to obtaining a Masters of Science in Physical Therapy. I joined Active Physio Works in 2016 and have been happily serving the Fort community since. In addition to the Chamber, I currently volunteer my time as an assistant coach of the Fort Saskatchewan Jr. Rebels lacrosse team. Away from work, I maintain an active lifestyle and try to spend as much of the year outdoors as possible. I am honored to serve on the Board of Directors and look forward to helping grow our incredible business community over the next two years. I opened Concrete Blonde hair body in Sherwood Park, Feb 2015 and recently opened Concrete Blonde and Barbers in the Fort Sept 2017. I have worked in the beauty industry for over 21 years and my passion for what I do runs deep. Exceeding customer expectations is the cornerstone of our business. Our physical space is edgy, but warm and welcoming. Our products are carefully selected with quality and performance in mind. And aside from going the extra mile to ensure our stylists and services are best in class, we understand little extras matter as well. I have an Event Planning business. As an Event Planner I work with both corporate and private clients on events as large as the Edmonton Singing Christmas Tree and CTV’s Fall Launch or as small as business openings and milestone parties. My third business is Chocolicious. Six years ago, my wife and I started this small business out of our home. The demand for our chocolate covered product grew faster than expected and can now be found at most farmers markets, small retail businesses and special events. I am the proud father of two wonderful boys and am very involved in their activities. My wife, Miranda, has worked at the Fort Sask correctional centre for 15 years and interestingly, so did my late father. As a result, I have watched this community grow. As a true entrepreneur, I’m focused on the success of my businesses, but I also believe I have a responsibility to ensure the communities in which I do business are successful as well. I offer my skills, experience, creativity and determination to help the Chamber successfully fulfil its mission of… “Business community connection, engagement and growth through value added membership, networking and advocacy”. Dr. Hamdy is the founder of AbEx Health Services LTD and is currently the owner and manager of AbEx Pharmacy in Fort Saskatchewan. In addition, she is an adjunct Professor at University of Alberta. 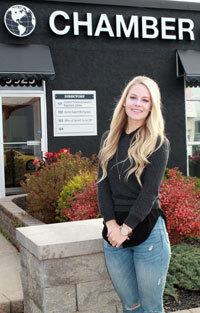 she is a registered Clinical Pharmacist in Alberta College of Pharmacy since 2010. She has additional Prescription Authorization and is authorized to give drugs by injection. Dr. Hamdy completed her PhD in Pharmacokinetics at the Faculty of Pharmacy and Pharmaceutical Sciences, University of Alberta (Canada) in September 2010. Prior to this, she obtained a M Pharm Sci (Pharmaceutical Analytical Chemistry) at Alexandria University (Egypt) in 2004 and a BSc (Pharm and Pharm Sci) at the same institution in 2000. In addition, Dr. Hamdy finished her MBA in 2017 from Eton University. Dr. Hamdy is also a licensed clinical pharmacist in Egypt since 2000. Dr. Hamdy is the recipient of several awards for research and academic excellence. Dr. Hamdy was a member in the Egyptian Young Academy of Sciences (EYAS) which is affiliated to ASRT and is currently a board member in the Fort Saskatchewan Chamber of Commerce, AB, Canada. Dr. Hamdy’s research interests are in the fields of pharmacogenetics, pharmacokinetics, pharmacodynamics, drug metabolism and pharmaceutical analysis. She held two academic positions at Qatar University and Alexandria University between 2010 and 2016. . She has published twenty four peer-reviewed papers and delivered around thirty research abstracts/posters at scientific national and international conferences. 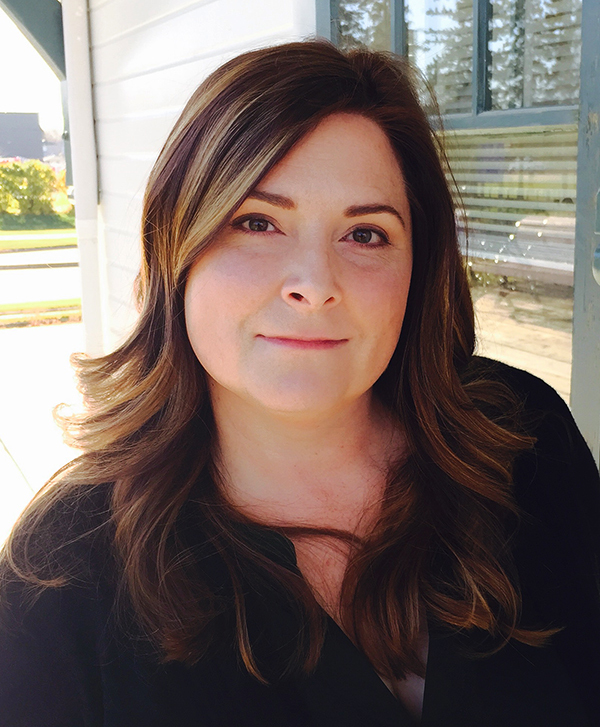 She has supervised several graduate and undergraduate students ‘research projects. Dr. Hamdy is also a reviewer of several journals and granting agencies. She is a holder of a few STDF, QNRF, PHARCO and Qatar University research grants. Now in my 7th year of service on the Chamber Board, I have moved into the role of past President for the 2018-19 term. Fort Saskatchewan is and has been my home since July of 2012. In addition to the Chamber, I'm happy to volunteer time as Chair of the Fort Saskatchewan Community Hospital Foundation, The Rotary Club, and help out when I can with the Fort Chiefs Senior AAA hockey team. My family includes my son Jared, now a resident and graphic designer in the Capital Region, and fellow fan of the Eskimos and Oilers. Also, there are 3 cats that believe they own my home here in the Fort. The Chamber of Commerce is a vibrant group of businesses supporting each other, and if I can be of assistance please don't hesitate to contact me.